Over its 4.5 billion–year tenure, Earth has played host to numerous breathtaking geologic formations and awe-inspiring events. 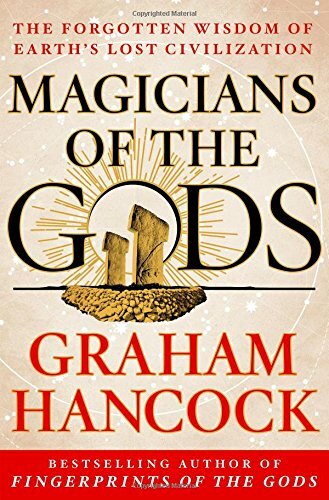 Each has shaped the planet as well as the organisms that followed, and no one can imagine what we’d look like today had these events conspired differently. Approximately 71 percent of Earth’s crispy outer layer is covered with water, though that still leaves a good amount of dry terrain for postcard-worthy landscapes. 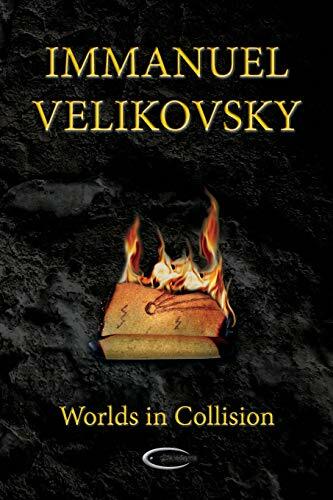 Go back several billion years, however, and our planet was the Worlds in Collion Immanuel Velikovsky Best Price: $16.71 Buy New $22.13 (as of 10:30 EDT - Details) real-life Waterworld. Any extraterrestrials zipping through the solar system 2.5 billion years ago would have glanced down on a brilliant blue sphere. At this time, Earth was an almost uninterrupted ocean, with only 2–3 percent of the surface above water. According to Nicolas Flament from the University of Sydney, this is because the mantle was 200 degrees Celsius (360 °F) hotter than it is today, due to an abundance of radioactive materials. The radioactive heat sources raised the suboceanic crust, pushing the seas upward and causing floods worthy of the Bible. The planetary ocean was assumed to be a scalding pot with few minerals, but new research from Stanford suggests downright pleasant temperatures. Previous estimates ran as high as 55–85 degrees Celsius (131–185 °F), enough to melt the planet’s fledgling organisms into hydrocarbon gumbo. However, the hydrogen and oxygen isotopes in chert, or fine sedimentary rock, show the all-engulfing seas topped at a comfortable 40 degrees Celsius (104 °F), perfect hot tub temperature. The abundance of hydrogen might have harmed some early species by raising aquatic acidity, but most of it escaped into space. The asteroid that slammed into the Yucatan Peninsula 66 million years ago was not the sole cause of the dinosaurs’ demise. 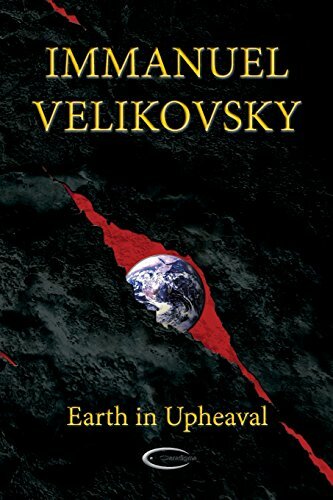 Prescribing to the notion that, “If you want something done right, do it yourself,” Earth itself struck the Earth in Upheaval Immanuel Velikovsky Best Price: $17.17 Buy New $17.09 (as of 10:30 EDT - Details) coup de grace with a flurry of volcanic violence. A fresh study from UC Berkeley suggests that the asteroid rang Earth like a bell, sending vibrations rippling throughout the planet and “popping” volcanoes like geological zits. In addition to the force imparted by the cosmic impact, it’s speculated that frothy plumes of molten rock naturally bubble up through the mantle every 20–30 million years. 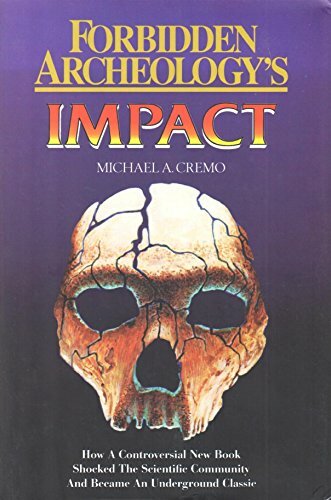 In fact, such events have been implicated in several mass extinctions. Furthermore, geological evidence shows that earthquakes trigger volcanic activity, and researchers believe that the asteroid trauma resulted in magnitude-9 tremors across the entire globe. The most notable eruptions occurred in what is now India, unleashing vast basaltic flows, which produced the Deccan Traps and at one point covered a California-sized chunk of land under 1.6 kilometers (1 mi) of lava. This region was active before the disaster, but the space rock seems to have redoubled the Deccan fury, as pre- and post-impact magma differs chemically. During the last ice age, glaciers besieged the Pacific Northwest. The great freeze invaded the Idaho panhandle and blocked off drainage channels, creating the 600-meter-deep (2,000 ft) Glacial Lake Missoula. 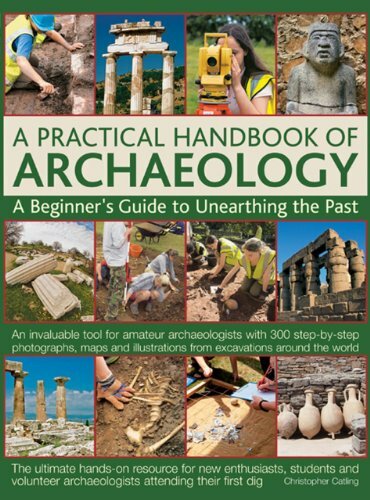 With more water A Practical Handbook o... Christopher Catling Best Price: $4.26 Buy New $10.70 (as of 07:25 EDT - Details) than Lake Erie and Lake Ontario combined held behind a creaking ice dam, catastrophe was inevitable . . . and magnificent to witness! Prone to leaks, the ice dam suffered a complete failure sometime between 13,000 and 18,000 years ago. With nothing to hold back the glacial waters, Missoula released two great lakes’ worth of water all over Idaho, Washington, and Oregon’s faces. The vast lake attained a peak flow 10 times greater than all of Earth’s rivers combined and emptied itself over the course of only a few days. While the ice sheets have retreated until the next ice age, they’ve left us a memento. Parts of the Northwestern US are covered in ripples, similar to those formed on beaches by the waves. However, these furrows are up to 15 meters (50 ft) tall, produced by Biblical floods that rolled the ground up like a carpet in its 80-kilometer-per-hour (50 mph) sprint to the sea. Copyright © 2016 Listverse Ltd.